The Independent National Electoral Commission has stated the importance of debates among candidates running for political offices in 2019. Debates play a vital part of the democratic process as they help to guide the decision of voters. 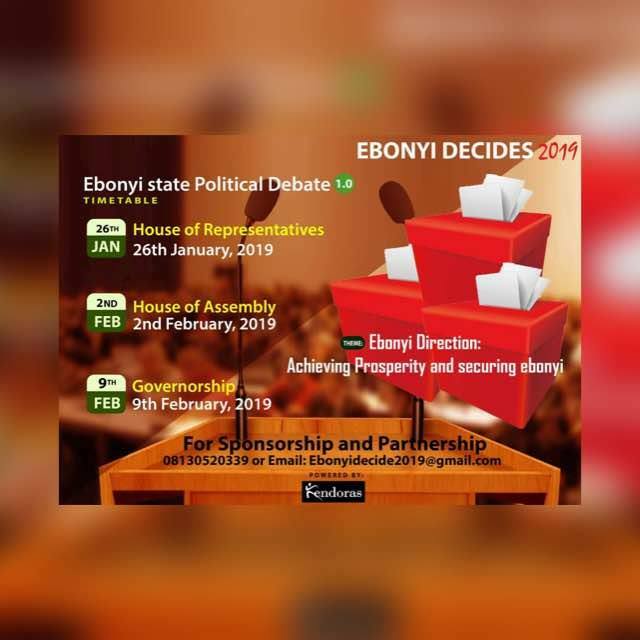 The Ebonyi debate will put together different aspirants into different political offices to air their varied opinions on how to move the state forward. Venue: International Conference Centre (ICC) Abakaliki, Ebonyi State, Nigeria. Date: House of Assembly Debate: 26th January, 2018.